This is a rangefinder camera based on the Fed Micron body. 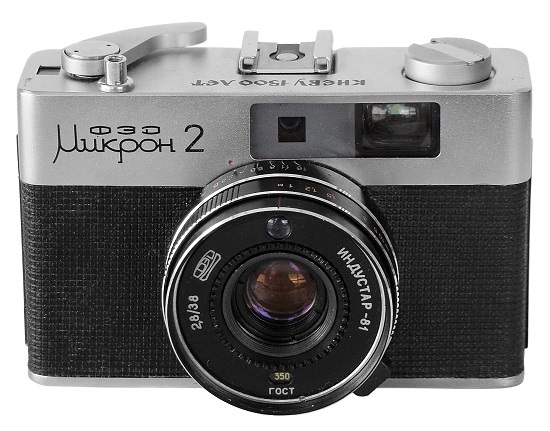 The view finder has parallax correction lines and displays shutter speeds and apertures. The camera is full frame and has a hinged back. The meter requires batteries. 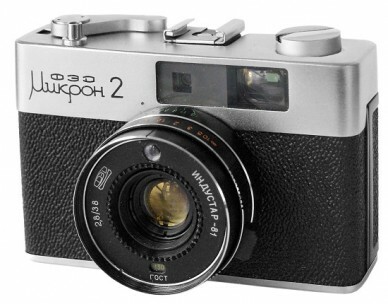 (source: http://www.commiecameras.com/sov/electroniccameras/index.htm). 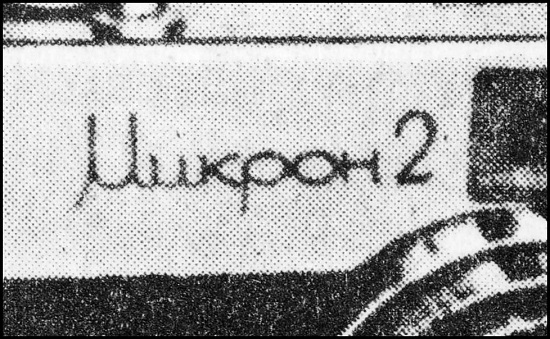 Original price (in year 1986) 125 roubles. 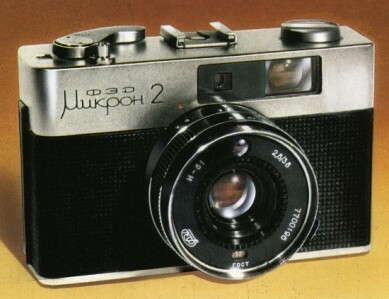 An early sample of the regular Fed Mikron-2. PE1105. Preseries camera with single "Mikron-2" markings (in Cyrillic characters) on the frontplate (see picture below). Never happened to see one alive. The sample opposite was scanned from soviet literature. 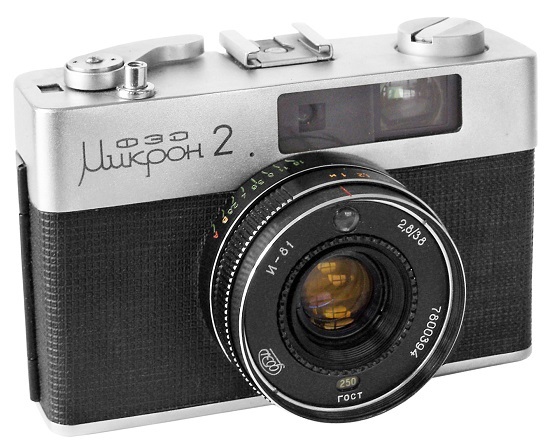 PE1105 - Fed Mikron-2 preseries camera. PE1115. An early productional version with "Fed Mikron-2" markings on the frontplate already. 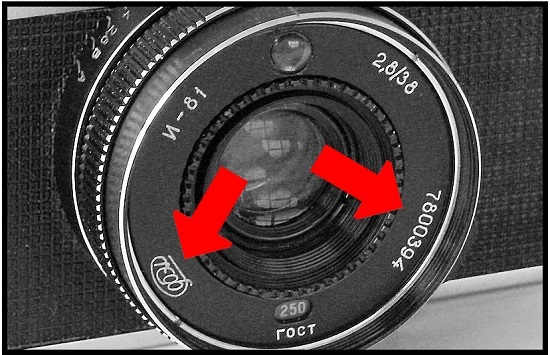 The serial number and an old FED logo placed on the frontplate of the lens (see picture below). PE1115 - Fed Mikron-2 #7800394. PE1125. 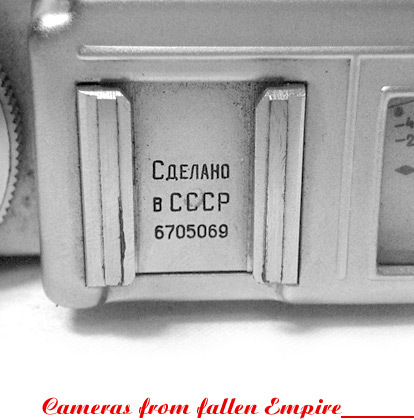 Camera identical to PE1115, but with new style "FED" logotype on the faceplate of the lens already. Serial number is moved to the bottom plate of the camera. PE1135. Camera identical to PE1125, but with an additional markings "KIEV - 1500 YEARS" on the top plate. 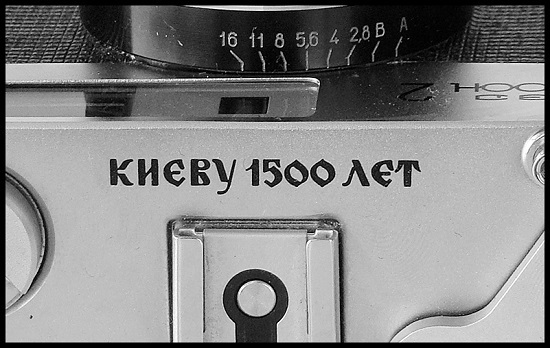 Soviet Sign of Quality silkscreened on the back plate. Very uncommon to find nowadays. 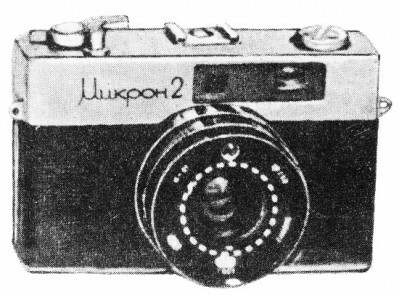 Camera below from private collection in Russia. PE1145. Seems to be the latest version (and the most common one) of the particular camera. New style "FED" logotype on the lens. The serial number on the bottom plate. Almost identical to PE1125, but with different body coverings. PE1145 - Fed Mikron-2 #504485.